If your earphones are too loose or aren't seated well in your ear, even the best in-ear headphones, or earphones, can sound awful. And if they're too tight, they can quickly become uncomfortable. 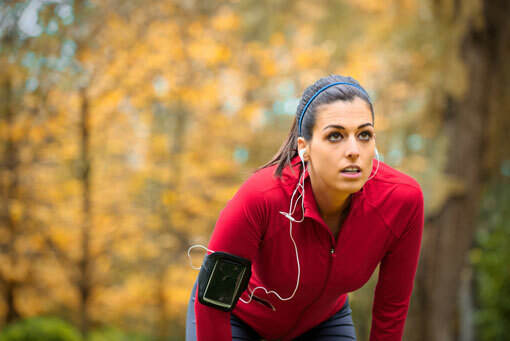 To get the most out of your earphones, follow these tips to getting the proper fit. For comfort and better fit, you can also buy specialized tips. Comply also makes a 3-pair foam variety pack that includes a pair of sound isolation tips, sport tips (without SweatGuard) and comfort tips in your choice of S, M or L for $14.95 on Comply.com. And Monster makes a 6-pair variety packs with extra-soft gel tips and foam tips in S, M and L for $17.71 on Amazon.com. Also, one ear may be slightly larger than the other, so you may need to use a different size tip for each ear. Make sure to use any stabilizers that may have come packed with the earphones. These plastic pieces basically wedge the eartip into place to keep it from wiggling as you move. 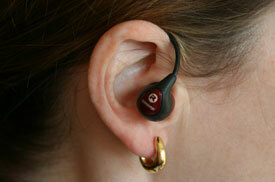 You can also try a generic stabilizer, like the BudLocks Earphone Sport Grips ($14.95 on Amazon). 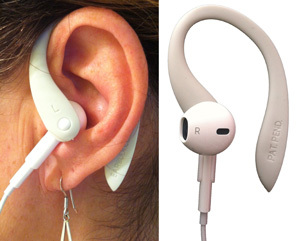 And for Apple Earpods, there are Earbudi Clips ear hooks ($9.99 on Amazon) you can attach to help them stay in place. If your earphones come with eartips that have double or triple flanges, you may find they stay put better than the regular tips. And check to see if your earphones are compatible with Comply's new Sport Plus tips ($12.95 on Comply.com) with SweatGuard that prevent slipping when you exercise and moisture from getting in your earphones. You can also try anchoring the headphone cable to your shirt with a clothing clip so it doesn't flop around as much. I like Bud Button, a magnetic cord holder ($11.99 on Amazon) that anchors your earphone cord to your shirt, or Sport Guppy ($12.99 at Amazon.com), a magnetic clip that also attaches to your shirt and holds excess cord. Need a new pair of headphones? Check out our picks for great sports headphones under $50 and the best Bluetooth headphones.